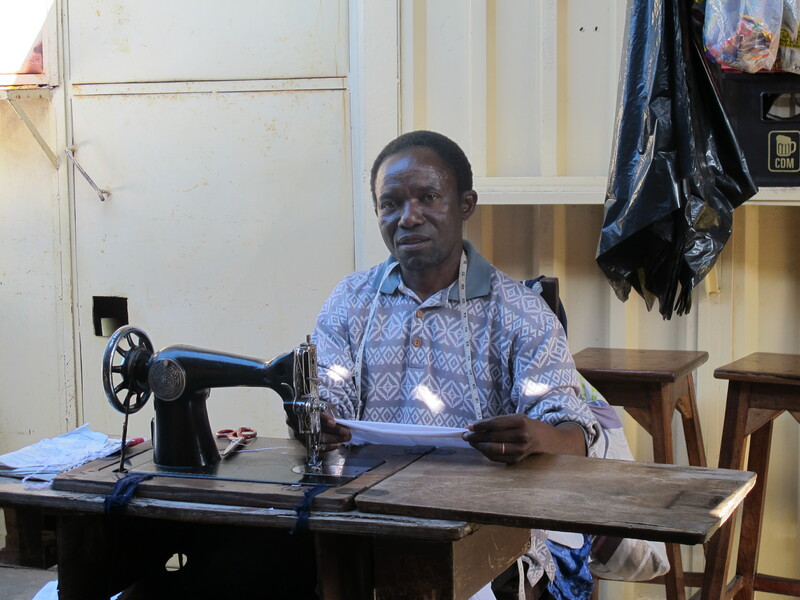 To be a tailor in Africa means to preserve a traditional know- how where experience and creativity meet together to create a unique garment, amplifying an intimate connection with oral tradition. “Speaking”, “seeing” and “listening” are essential elements of the chain of knowledge transmission. From the master to the disciple, knowledge is transferred together with the details that the stitches bring together. Usually there is no formal education, but rater knowledge that is transferred based on ‘lived’ experiences. 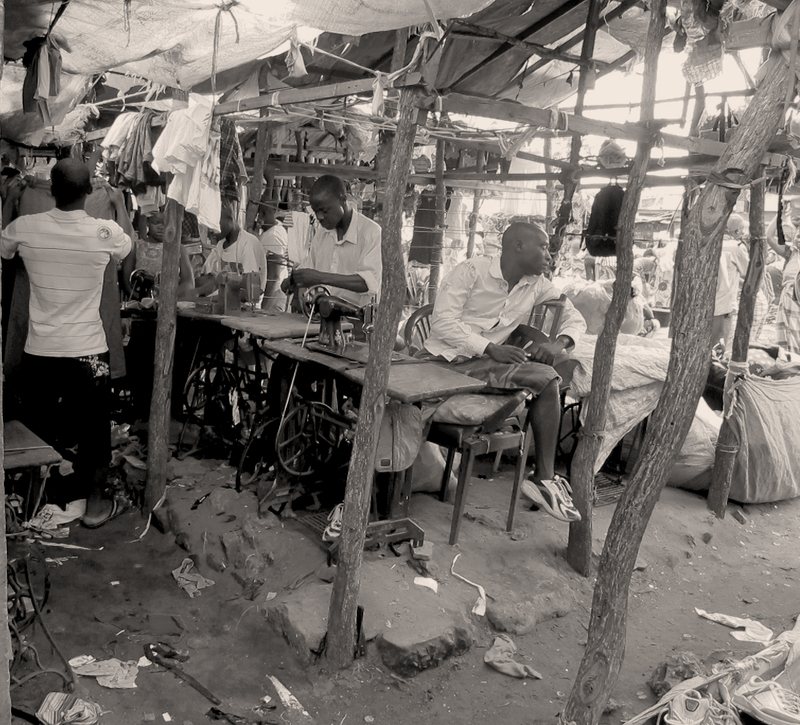 Facing apprenticeship, African tailors start training at the age of boyhood and “apprenticeship happens as a way of, and in the course of, daily life” (Lave, 1991:70). From master to disciple, the traditional knowledge is the hinge to preserve cultural knowledge on tailoring. Aesthetics par excellence, these artisans mainly use West African clothing heritage to guide their ‘new’ creative work. On the other hand they work with second-hand clothing and become responsible for the deconstruction, customization and rearrangement of Western ‘mimesis’. This contact with Western clothing style developed a ‘new’ conceptualization of African aesthetics. Therefore, tailors become able to outline a ‘new garment’ by using knowledge shaped by oral tradition and western aesthetics. Capable of conceiving/forging the world-to-come, tailors are important social agents in the integral development of African society aesthetics and economy (many of them develop a small-scale enterprise). The produced clothes enable the user of being “capable to build a rapport and of seeking a regenerative dialogue about their own uniqueness” (Erner, 2004:183) and they are a cultural expression based on the articulated and participative beliefs, dreams and meanings of a personal narrative that reveals the “ ’post’ domestication” (Hall et al., 1997:240), inside multiple identities and not a only a “new modern cultural identity”(Craik, 1994: 27). 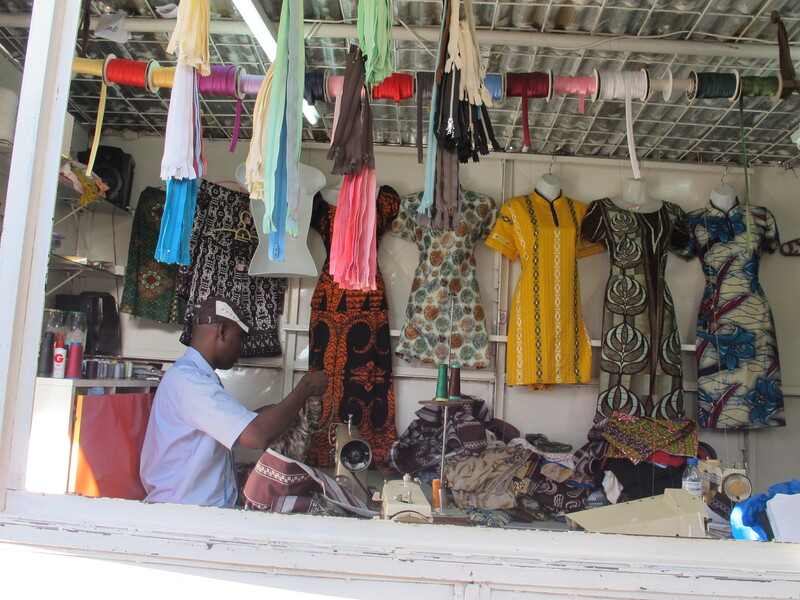 When I was in Maputo, I regularly visited some tailors from Janette’s market . I was informed that most of the tailors there were from other regions of Mozambique and others came from other countries in Africa, specially from West Africa. I get more close to some tailors with whom I spend some hours talking about their life as a tailor and also about my role there. I observed different levels of tailors, that ones who had a electric machine and others who had a old non-electric machine. The majors’ tailors worked in his own space atelier and the others worked all together , aligned on the market ways and in a specific area of the market for tailors. 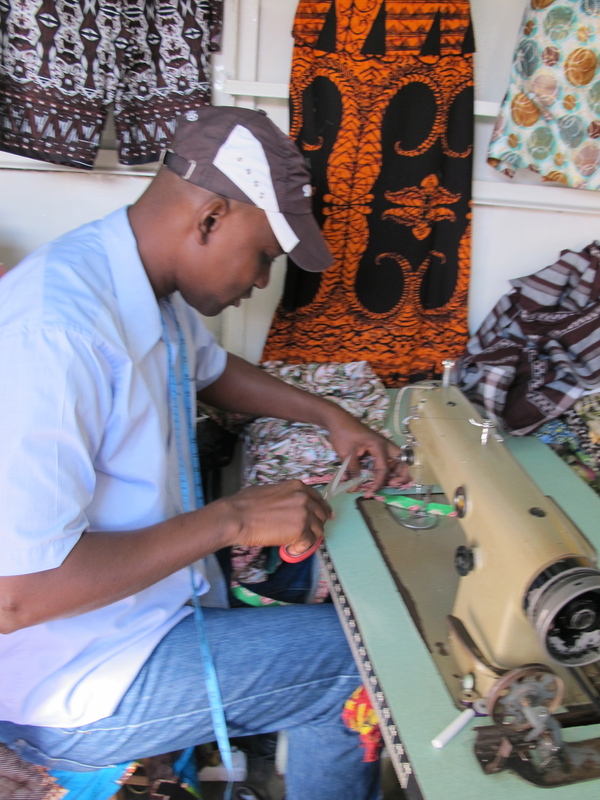 The first day I came there I talked with a tailor from North Mozambique. I asked him make the dress with an African textile that I bought on the street. He recommend me another tailor whose might be more appropriated for my demand. He was from Senegal , and we spoke in french. He works in is own atelier whose have industrial machines – a sewing and a cutting / stitching machine- and a iron. From our talk I understood that usually he works with tested dress models but he also can make me a dress if I bring the drawing next day. So I designed two dresses and made a technical drawing, and then I presented to him. Was not easy for him to understand proportions, and I carefully explained him all the measures of the dresses. we fixed a price , and I came 3 days after to make the ‘fitting test ‘. REED, H.J. and Lave, J. (1979). Arithmetic as a Tool for Investigating Relations between Culture and Cognition. Interdisciplinary Anthropology, 6 (3), 568-582. LAVE,J. (1993). Apprenticeship in Critical Ethnographic Practice.Chicago :The university of Chicago press. LAVE, J. (1991). Situating learning in communities of practice. In L. Resnick, J. Levine, and S. Teasley (Eds. ), Perspectives on socially shared cognition. Washington, DC: APA. p. 63-82. MATTHEWS, W.J. (2003). Constructivism in the Classroom: Epistemology, History, and Empirical Evidence. Teacher Education Quarterly, 30 (3), 51-64.